A new interview with self-styled “conservative crusader” Star Parker hints at Focus on the Family’s growing hatred against freedom and individual responsibility. Parker — author of White Ghetto: How Middle Class America Reflects Inner City Decay — is unlikely ever to be allowed in the executive ranks or board of Focus on the Family. 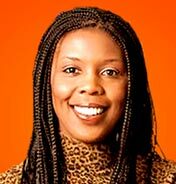 She is outspoken about her blackness, and Focus’ record of internal hostility toward African-Americans dates at least as far back as 1997, when Focus co-founder Gil Alexander-Moegerle wrote a tell-all expos?© of the Focus leadership’s racism, sexism, its irrational hostility toward gay Americans, and its brewing war against basic American values. With either breathtaking stupidity or cunning contempt for intellectual honesty, Parker confuses “can do” with “should do.” Parker believes that if one is free to commit an action, then one should commit it. Parker dishonestly and arrogantly contends that it is somehow “conservative” or “Christian” to take away freedoms in order to deny people the free will to choose right and wrong. Parker recounts a life of irresponsible choices — abortions, unwed pregnancy, chronic unemployment, drug use — but instead of accepting responsibility for choices, she blames liberals for allowing her to make them. Instead of fulfilling the core Christian moral imperative of reversing poverty and its causes, Parker resolved “that we need to dismantle the war on poverty and increase the activities in the Christian community so we can be there for people in need” — in other words, it seems, she vowed to stop battling the causes of poverty and instead battled to offer ideological scapegoating and religious back-patting. Her opposition to unnecessary or preventable abortions may be commendable, but her methods — denying families the information and freedom they need to make informed and mature choices, and turning freedom into a bogeyman — are un-American and, from this particular Christian’s point of view, unholy. Parker and Focus on the Family claim to defend faith and a Biblical worldview, but their contempt for free will and personal responsibility have no basis in any legitimate faith nor in any legitimate interpretation of the Bible.